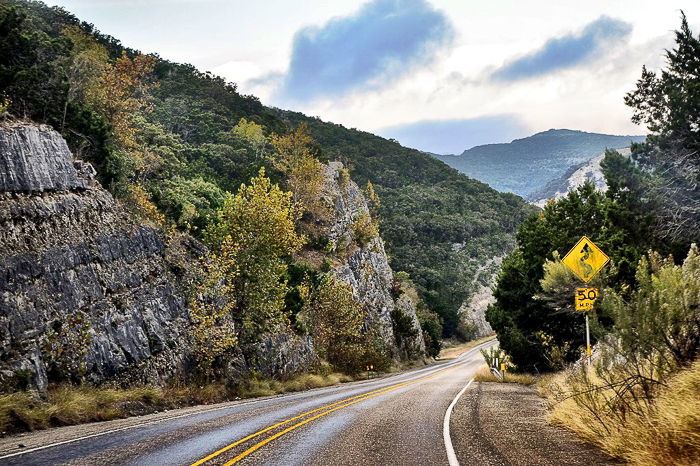 I’m a little partial to the Texas Hill Country, I must admit. So I realize I may be a biased when I say all the best state parks are in this part of the state!! 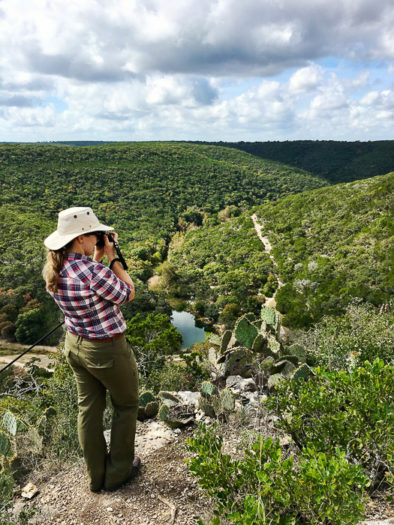 The only other landscape that rivals it in terms of drama would be West Texas, but nothing spells natural perfection to me like limestone cliffs, cactus, and spring-fed creeks and rivers. My Austin peeps all know the glory of a swimming hole in July! 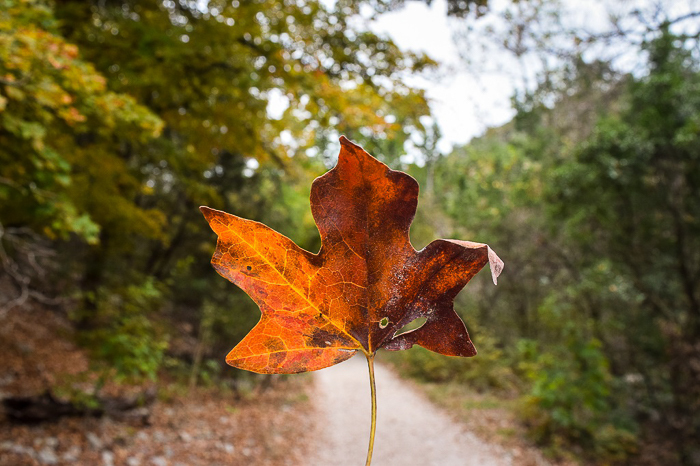 This list includes state parks, county parks, and a National Wildlife Refuge. There are so many great places that didn’t make the cut (feel free to remind me of them all in the comments) but these, in my opinion, are the best. Most dramatic and unique landscapes, prettiest water features, and most breathtaking scenic vistas. This park is probably the most “remote” feeling of all the parks on this list. It is surrounded primarily by ranches and the nearest town is a solid 35 minutes away, so the hills are pristine and the view is stunning. With civilization so far away, the stars are INCREDIBLE! 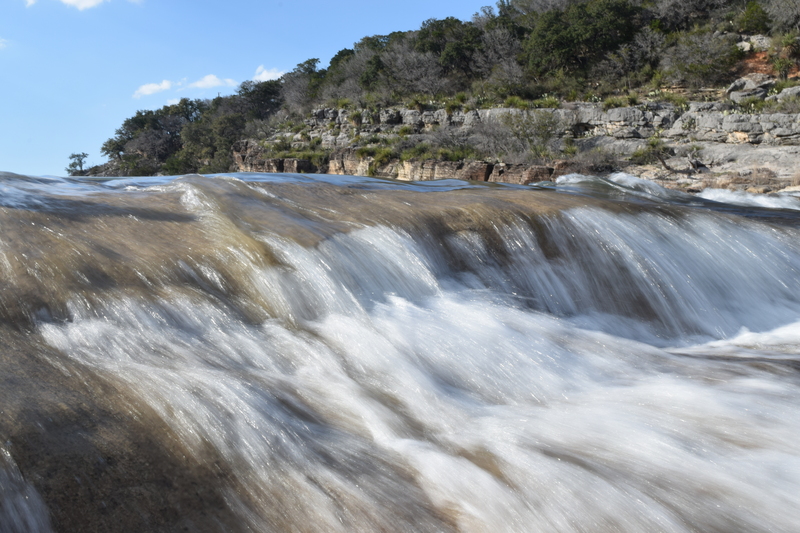 And Gorman Falls, a highlight of the park, is like something out of a storybook. So why is this place last on my list? Well, the bathroom situation. It’s all compost toilets. Granted, the bathrooms themselves are pretty nice (they have a nice sink, mirror, and tile floor) but the fact remains that it is still a compost toilet. 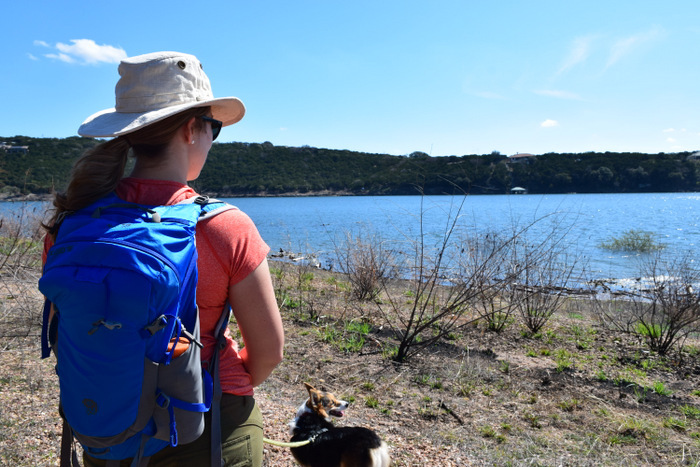 This place gets major brownie points on my list because it’s so close to Austin, has great trails, and after your work out on the trails you can go to nearby Bluebonnet Cafe in Marble Falls and eat a delicious lunch and pie! And who doesn’t love that? Other perks: If you’re wanting to train for an actual climb in the mountains out west (like Colorado) then this is a place you can go for some challenging terrain. A few of the trails go straight uphill! But, there are PLENTY of flat trails with good views that a kiddo can do too. 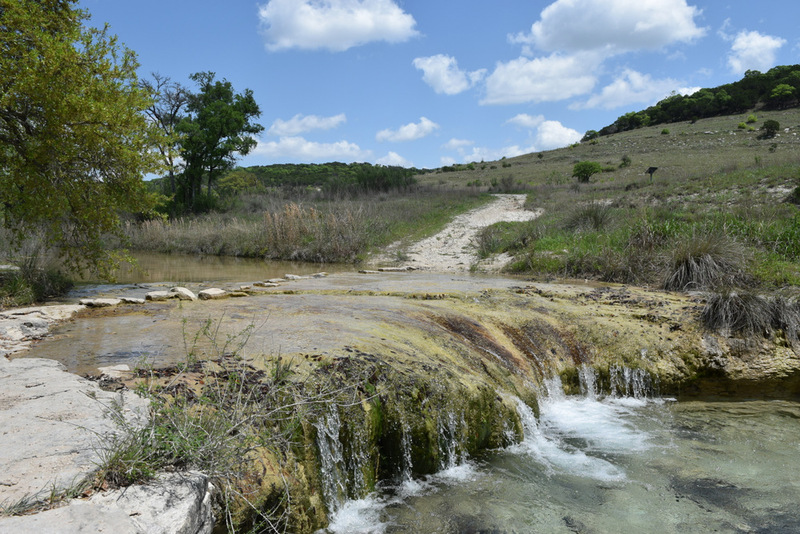 Bring a swimsuit if you want to take a dip in the crystal clear creek that flows through it. The wildflowers in this area are pretty spectacular! Only negative: no pets. BOO. This park is great because of the privacy of the campsites, cleanliness of the bathrooms, and drama of the landscape. 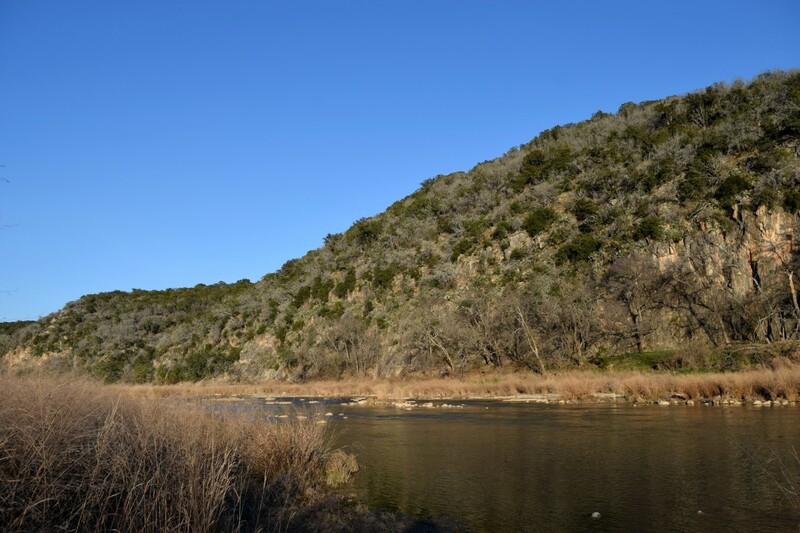 Probably the easiest camping trip you can do in the Hill Country–all the sites are drive up and spacious, the bathrooms are nearby, and the most scenic part (the falls) are only a short walk. 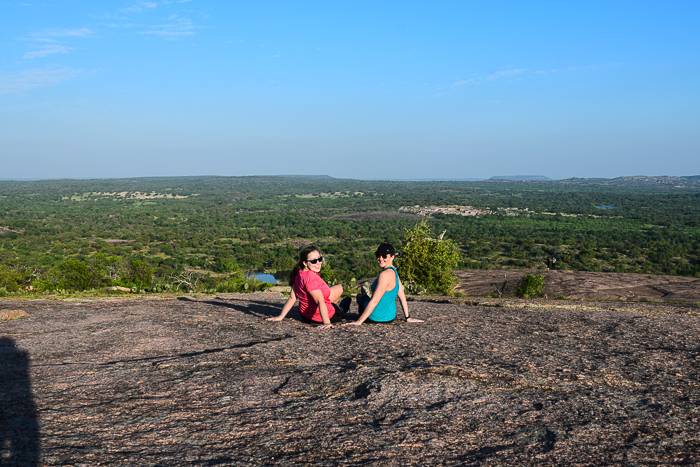 The reason this park makes my list is the unique pink granite you’ll find everywhere, and the great views on so many of the trails. 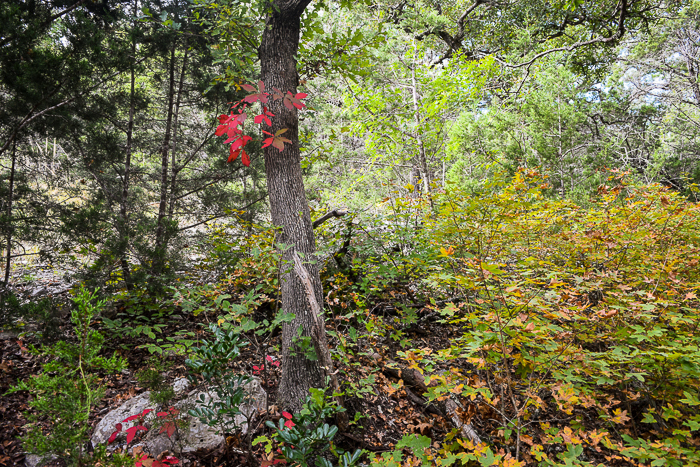 I don’t like slogging through a forest with no reward at the end, and at Inks Lake you don’t have to worry about that! 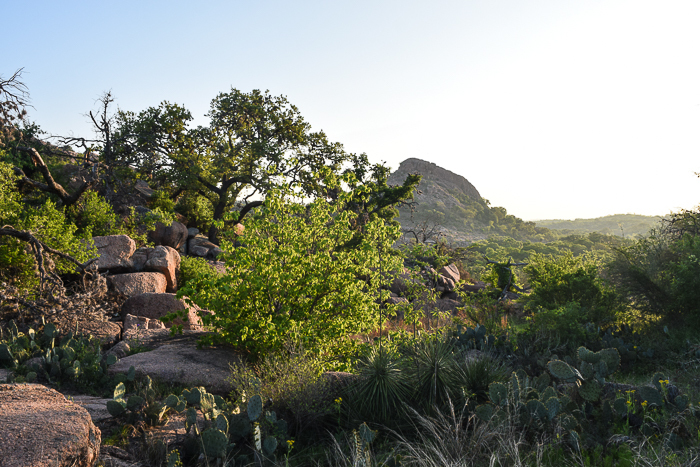 Especially not when the bluebonnets are out, omg–it is simply beautiful to see bluebonnets against the pink granite. 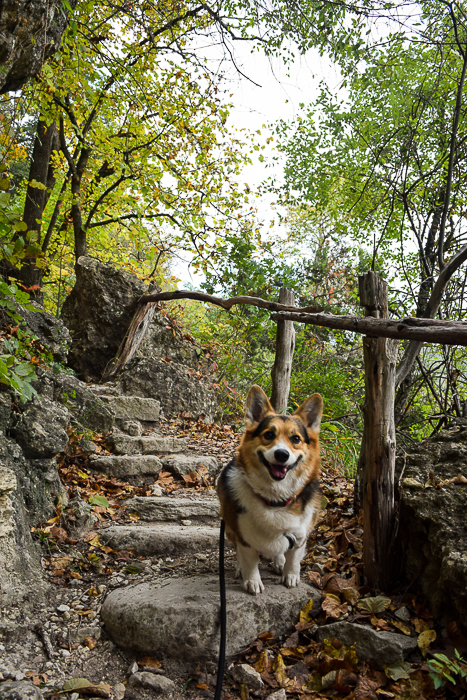 The trails wind around the lake’s edge and up over hills and around boulders, so you never get bored looking at the same scenery along the trail. 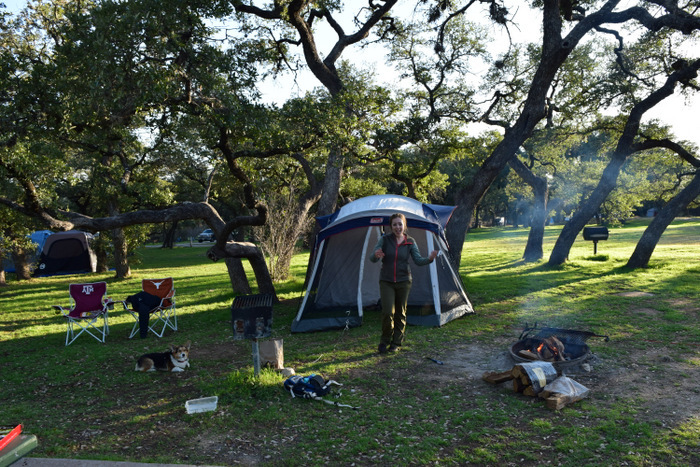 While the campsites don’t offer much privacy, they are shaded by big oaks and located beside the lake. 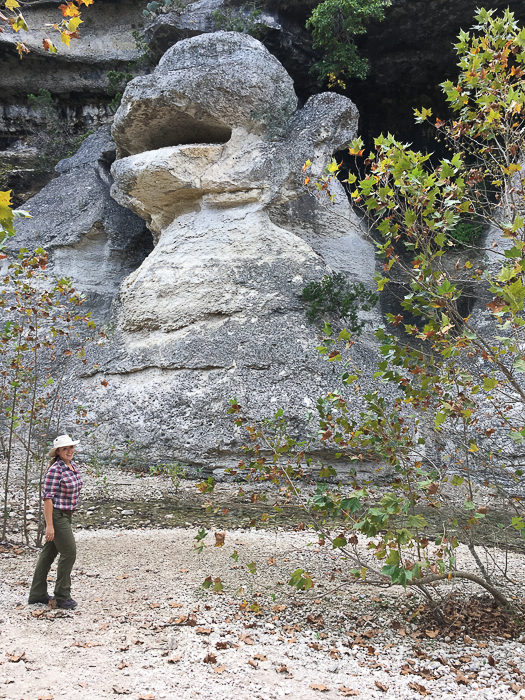 Finally, the very tippy top on my list, Lost Maples State Natural Area. I have a soft spot for this place. It is exquisite, a real reason to have pride in our state, and if you ever get to go you will see why. 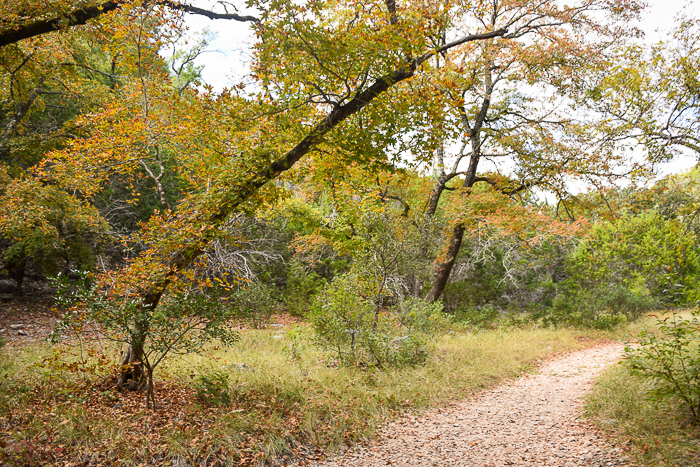 The views are the most dramatic, its trails the most entertaining, and of course, its fall colors the BEST in Texas. The surrounding countryside, which you should take a drive one afternoon to see, is awesome. Warning: you must reserve your campsite early. 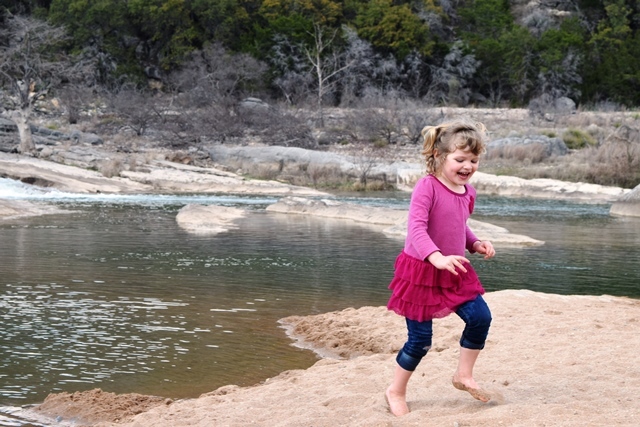 Pace Bend Park, a Travis County Park on the banks of Lake Travis, gets honorable mention. 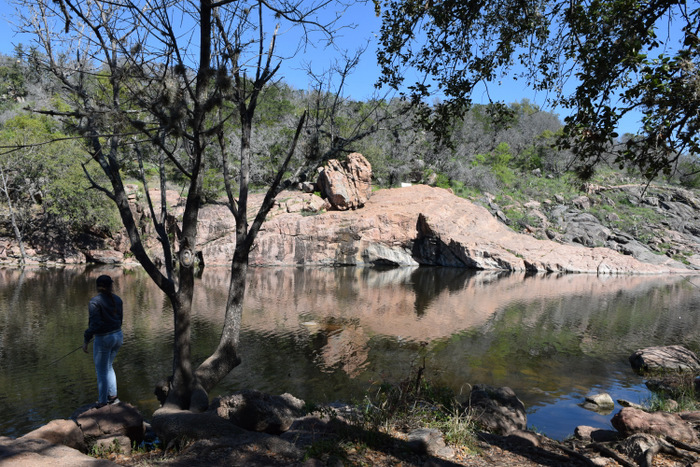 I like their camping area for its spaciousness and last minute availability, love its proximity to Austin, and enjoyed the trails which hug the edge of the lake. 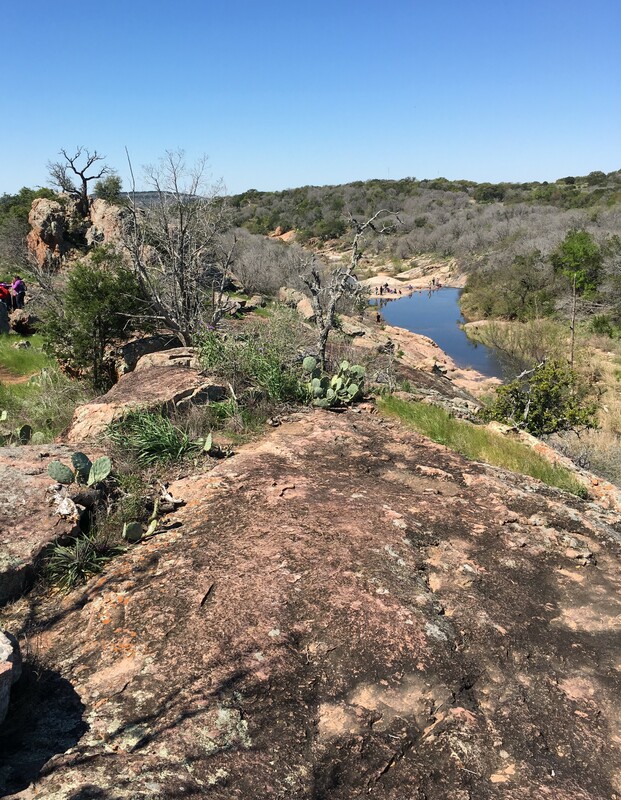 So like I said–you can’t go wrong with a park in the Texas Hill Country, it is one of the most beautiful parts of our state and we are so lucky to have these green spaces! Pack up the family–even if just for a day trip–and go check them out. 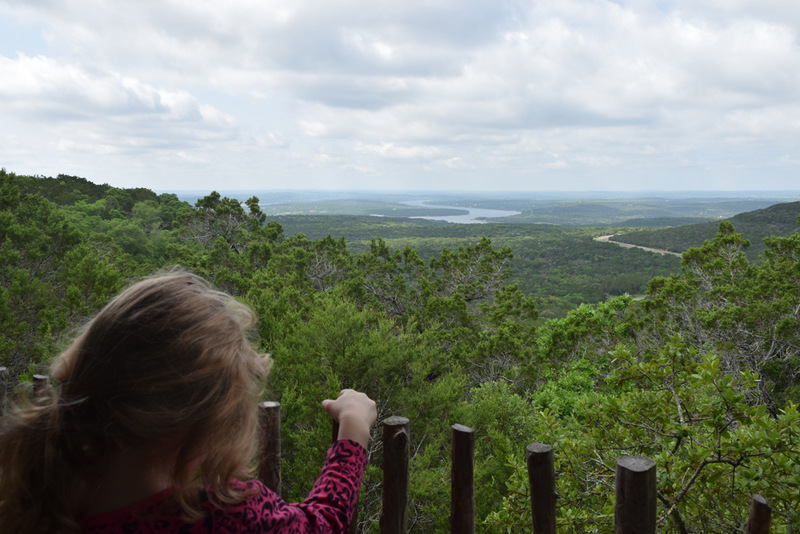 No Replies to "My Favorite Parks in the Texas Hill Country"